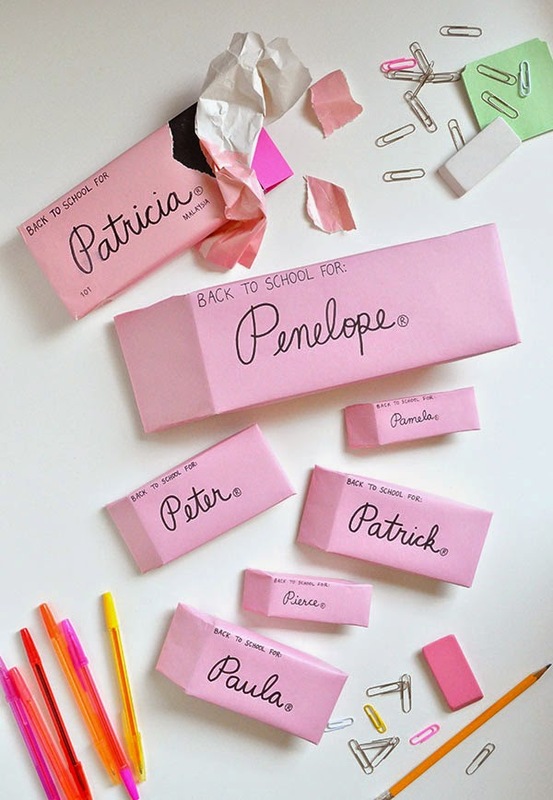 We don't have a tradition for giving gifts for the first day of school, but I want to now that I have seen this cute eraser inspired back to school wrapping paper idea. Maybe I could use it on a treat for their lunchbox. You can check out the details of this cute back to school wrapping paper over at Oh Happy Day.